In my living room there's a basket (actually three) full of mini albums. Even though, I need to find a different storage method. (Some of the albums aren't holding up very well to this system.) My kids love looking through these baskets and reading their albums. Recently, I've been paying closer attention to the albums that my kids spend time reading. I've noticed that they spend time reading books about "when I was a baby" and a lot of albums about our daily happenings. The album that they read a lot is the album I titled "Spend a Week with Us." I stumbled upon Ali Edwards, "A Week in the Life" and I loved the concept! 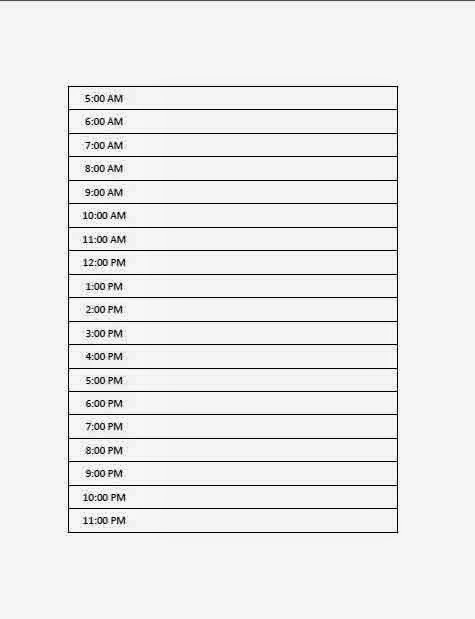 I printed the forms out to record our daily routine and I got started. I documented our week and then a few weeks later I got organized and put the album together. I was trying to remember if I did the project at the same time as Ali Edwards did hers but I honestly can't remember. I loved doing the project but I remember being surprised at how hard it was to keep up with it. I got caught up in doing our daily routine and I forgot to write down what we were doing and take photos. While I was putting the album together I noticed that I had a ton of information at the beginning of the week and then toward the end of the week I didn't have as much information or as many photos. Because my kids love that album so much and because after reading the last album I realized that our daily routines have changed so much, I've decided to do do another album titled "Spend a Week with Us". I chose to work with the Pebbles Home+Made collection by Jen Hadfield. 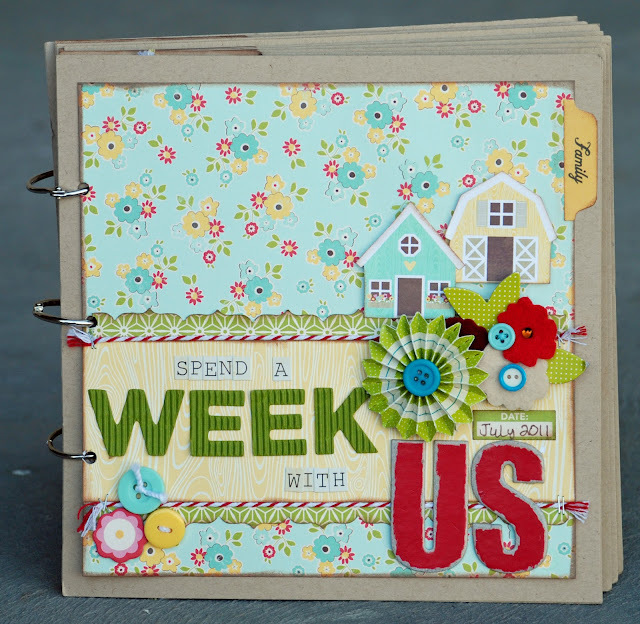 This is such a fun collection to work with and has a great everyday theme to it. There are tons of 3x4 and 4x6 journaling cards. 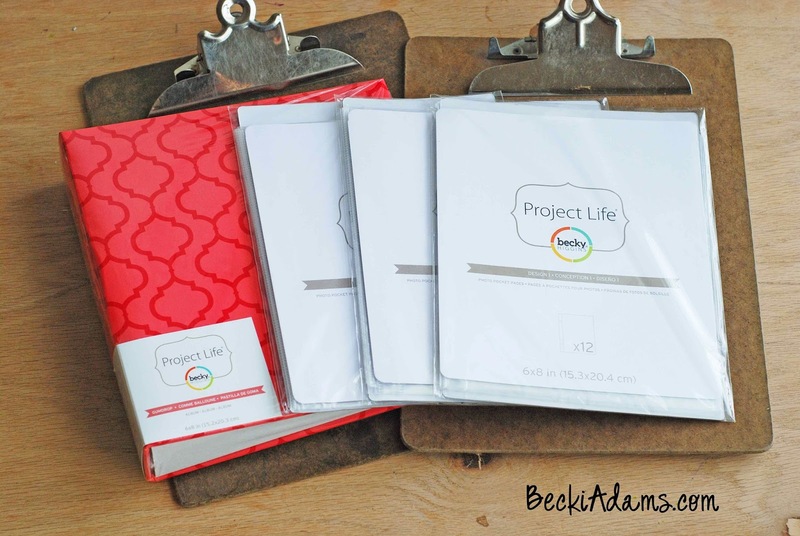 I chose the Project Life Album, 6 by 8-Inch, Pink Lattice and page protectors. I love how the album goes perfectly with the Home+Made Collection. I also grabbed the 6x6 Paper Pad . 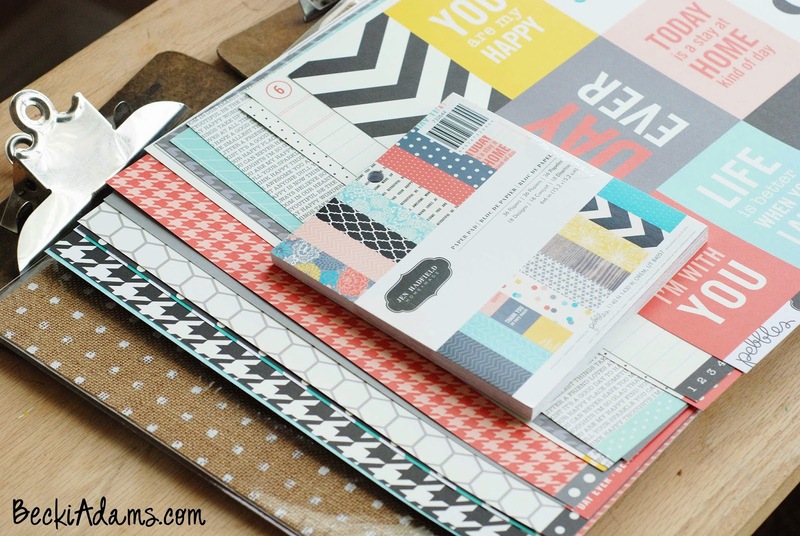 I thought the 6x6 paper pad would be perfect to cut into journaling cards and accent pieces. 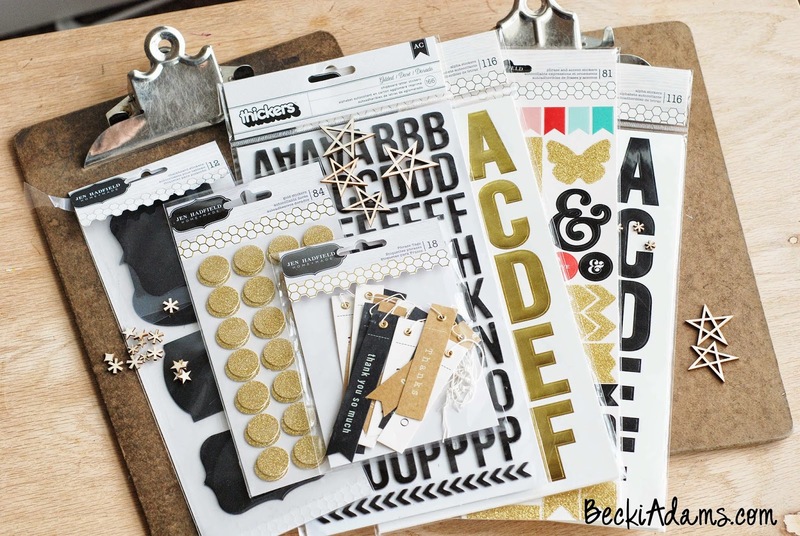 I gathered a few letter stickers (Homemade Large Alpha Stickers)and embellishments. I also grabbed some washi tape (Homemade Decorative Tape) and premade journaling cards from my stash. I also created some printables to go along with my album. 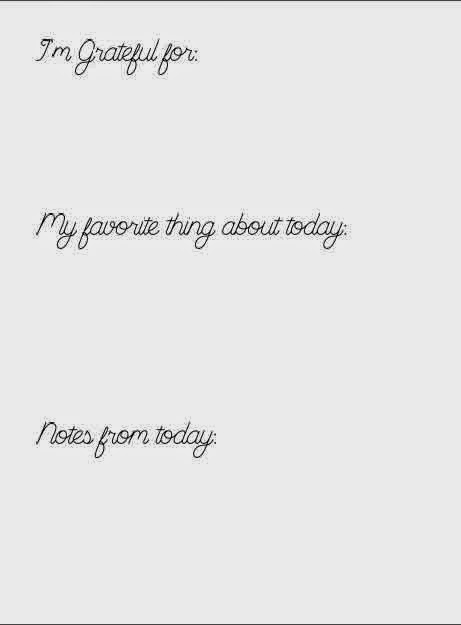 I've uploaded them (daily schedule and daily notes) if you'd like to use them as well. They are created so they will fit into a 6x8 page protector. 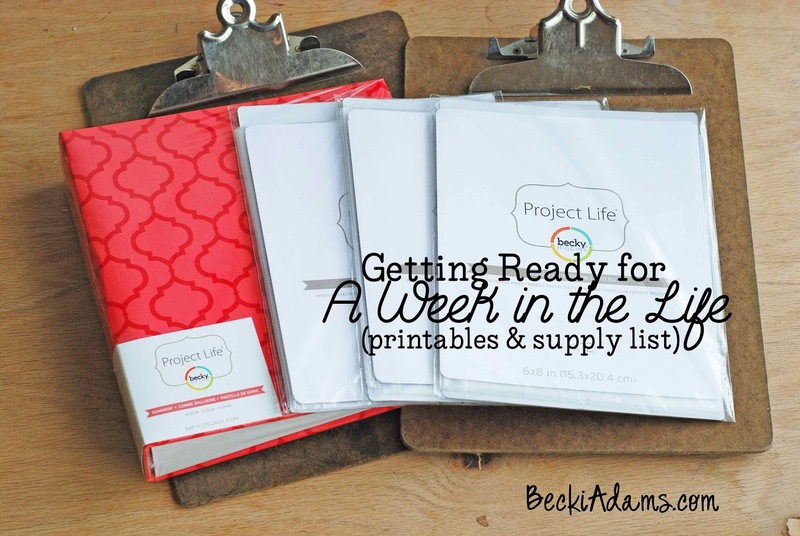 Have you participated in the Week in the Life project before? 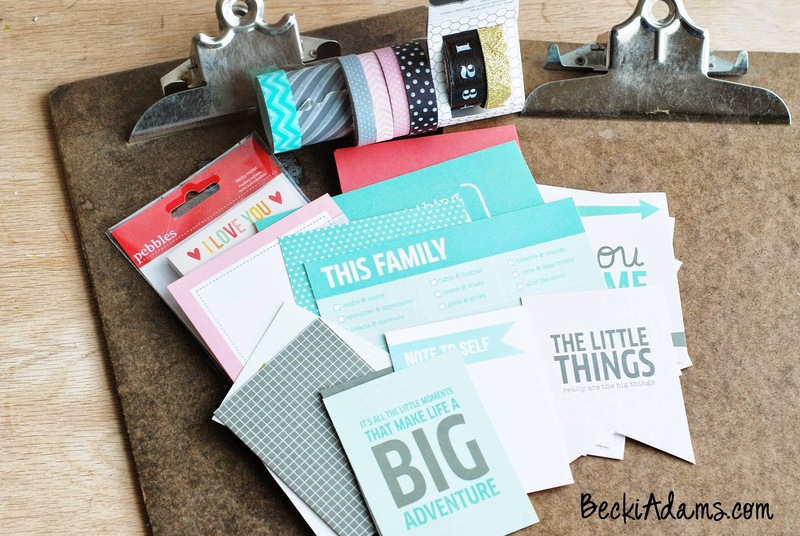 If you haven't, gather some supplies, check out all the details on Ali Edwards blog, and let's get started! I'm starting on Monday, October 27th and I'll finish on Sunday, November 2nd. I'll come back here and share with you the finished product in November. LOL, I know what you mean, Mendi. That's why I don't do a December Daily. I never finish it. I do a December Memories album but I don't record things on a daily basis.